Travel deeper into the heart of Northern England and explore the Yorkshire Dales, the Eden Valley and Cumbria by bus! With a variety of routes serving all areas of Yorkshire and Cumbria, including return trips to Hadrian’s Wall and longer distance services into the Scottish Borders, why not make it a day out? You can also view the 2019 timetable for Cumbria Classic Coach excursions here. You can also telephone Traveline on 0871 200 2233 (12p per minure plus your phone company’s access charge). Click here on the map above for a visual of bus connections on from the Settle-Carlisle Railway. 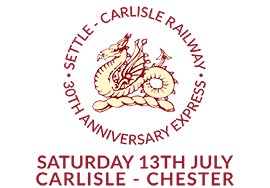 Click here to find out about The Anniversary Express, a vintage diesel-hauled excursion travelling from Carlisle to Chester along the iconic Settle-Carlisle railway. Travel in style this July – purchase tickets here!